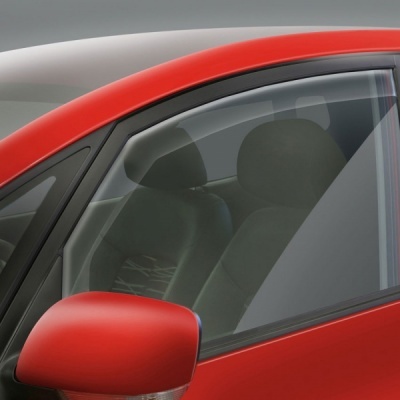 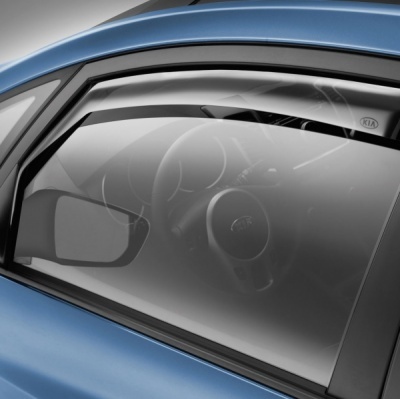 Genuine Kia Venga front side window wind deflectors reduce turbulence when driving with a slightly open front window. 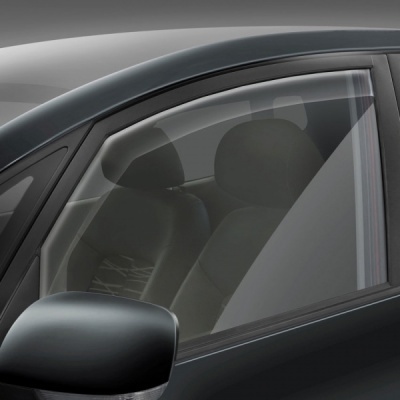 The aerodynamically formed deflector redirects the airflow and deflects raindrops. 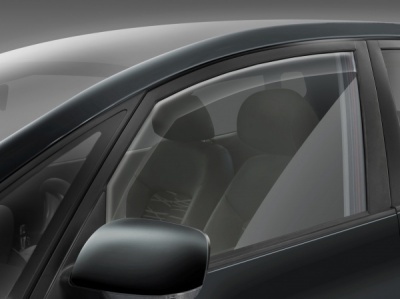 Only suitable for vehicles with electric side mirrors with manual folding.